VHS at The Gathering 2019 : The future of public health – bicycle or frog? Public health is about helping people to stay healthy, and protecting them from threats to their health. 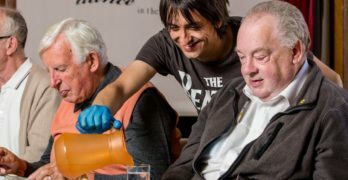 Public health is another way of talking about improving health and wellbeing in our communities, but the language and organisation of public health can often seem far removed from third sector endeavours to support people’s health and wellbeing. Is public health a frog or a bicycle? Book your place at the Gathering here. Right now, the future of public health in Scotland is being transformed, with shared priorities, Public Health Scotland coming into being in December 2019, and an ambitious agenda to improve health and address health inequalities in a whole system way in future. Welcome to the frog on a bicycle! 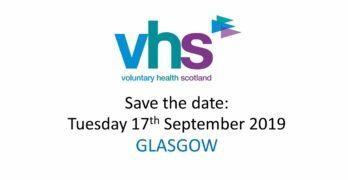 This workshop is presented by VHS on behalf of the Health Inequalities Learning Collaborative, supported by NHS Health Scotland. It will explore what public health means to the third sector and what opportunities the reform programme will open up to us. Eibhlin McHugh, Co- Director of the Public Health Reform Programme will be joined by a panel of third sector colleagues in a timely discussion about the future of public health.